Are you looking for a different form of party entertainment? We’ve got you covered. 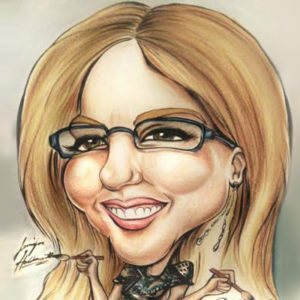 We will bring you the best caricature artists Toronto to throw a party that people will be talking about for ages. These talented artists know how to keep your guests entertained by drawing fun caricatures that put a smile on their faces. This unique form of party entertainment is not only interactive but also mad fun. It’s also ideal for guests of all ages. This means that you can invite our artists at a wedding, birthday party or bridal shower and still be assured that it will be an instant hit. Guests love to take something home after a party. 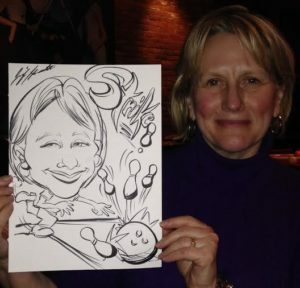 With our caricature artist, you don’t need to spend a fortune on party favors. The guests can have the artist draw a caricature and take it home with them. This is a great idea for events like graduations, showers and birthdays where people expect to have some favors given by the host. At Right Choice Entertainment, we ensure that all caricatures are done in a proper manner and packaged properly for the guests to take home. Our artists can work with the theme of your party. Whether you’re throwing a superhero or princess party, the artist will provide the ideal choices to blend well with the rest of the event. Our goal is to provide a fun and safe experience for you and each of your guests. 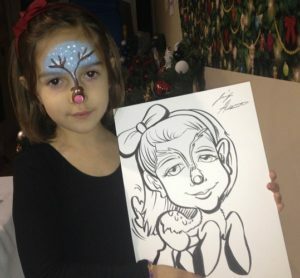 Our caricature artists have years of experience working with children and adults in different settings. 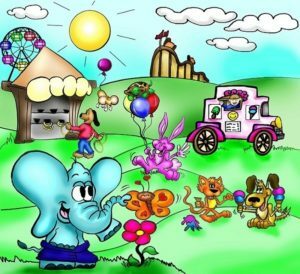 Whether you’re throwing a corporate event and need a professional artist who knows how to interact with adults or simply need a fun and friendly artist for your kid’s birthday, we’re happy to provide just the right person for your needs. We can customize this service to fit your unique needs and type of party you’re throwing. Kids and adults appreciate art. This is especially true if we’re talking about different kinds of art such as a cartoon version of yourself. 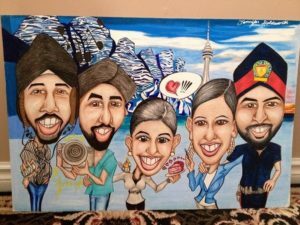 From back tie events to holiday parties and birthdays, caricature art is the newest hit in Toronto. Most artists can draw 10-20 faces within an hour. 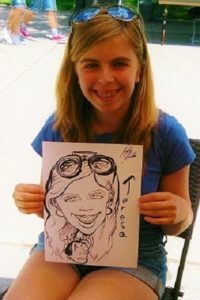 However, you’ll need to decide on the exact type of caricatures drawn during the event depending on the number of artists you hire as well as the time available. How many caricature artists Toronto will you need to hire? Caricature artists can provide great entertainment at your event, but you need to book the right number if you’re expecting many guests. Remember that it’s likely to take more time to draw colored caricatures compared to the black and white faces. The number you’ll need will depend on how many guests you plan on hosting. 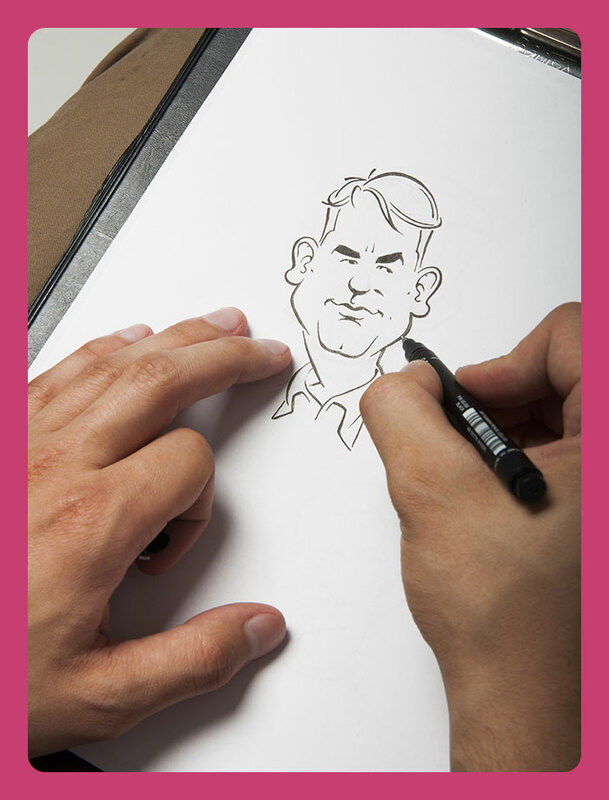 Ideally, at least 60% of your guest list will be interested in caricature art so if you are hosting a party with 100 guests, ensure that the artists you hire are able to draw 60 faces within the required time. How much will you pay for hiring a caricature artist? This will depend on many things including the level of experience of the caricature artist and type of faces you want to be drawn. If you want black and white faces, this is likely to cost less than colored faces which take a little longer to complete. Some caricatures may also come with special supplies such as a bag to protect the drawing which could come at an extra cost. You may also be required to pay for mileage and accommodation if the caricature artists will be traveling to a party venue that is outside of Toronto. Some caricature artists will charge based on the number of hours they spend in your party which is why you need to find someone who is good and fast enough to assure you value for money. Why caricature art at parties? Caricature art works for parties mainly because people love to see exaggerated versions of themselves drawn by a talented artist. This is especially true in group settings where they want to show off to their friends and family. 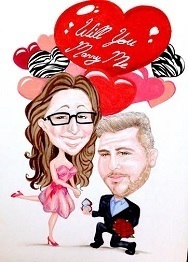 Caricature art can also foster conversations during formal events and add a fun twist. 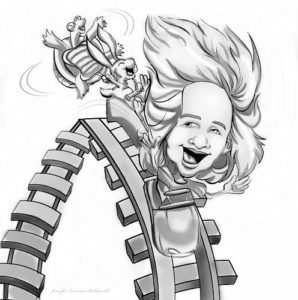 If throwing a holiday party, the caricature artist can have a fun holiday theme on all the caricatures. 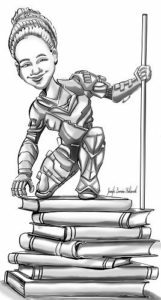 Therefore, it’s important to meet with the artist in advance and explain exactly what you’re looking for in the caricatures and how you’d like them to blend with the entire party. Caricature art requires consistent practice to become an expert. That’s why we’ve teamed up with highly experienced and passionate caricature artists in Toronto. 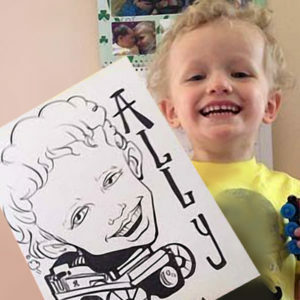 Our artists have drawn thousands of caricatures for birthday parties, corporate events, and school parties. They know how to interact with crowds of all ages and get the job done right. Our artist will come prepared with a book of art types to choose from so your guests can select anything they like. 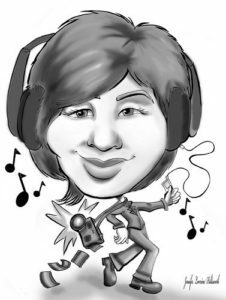 If you want the caricature artist to create a flattering version of your guests instead of those exaggerated versions, trust our talented artists. We know that caricature art doesn’t have to make anyone feel bad about their features especially during a party. That’s why our artist will listen to your needs and ensure they create caricatures that guests love. Due to their great experience in caricature art, our artists know how to come up with designs that are held to the highest standards. We don’t take any chances when providing our party services. If you need a reliable caricature artist who will show up on time and treat your guests in a friendly and professional manner, reach out to us at Right Choice Entertainment. We know what it takes to throw a party that everyone will remember. From getting the right artist to making sure you have all the supplies needed, leave the entertainment to us.